As a means of getting the most nutrition from fruits and vegetables, Canadian dietitians recommend that you enjoy at least one bright orange vegetable (ex. sweet potato, squash or carrots) and one dark green vegetable (ex. spinach, broccoli or kale) per day. 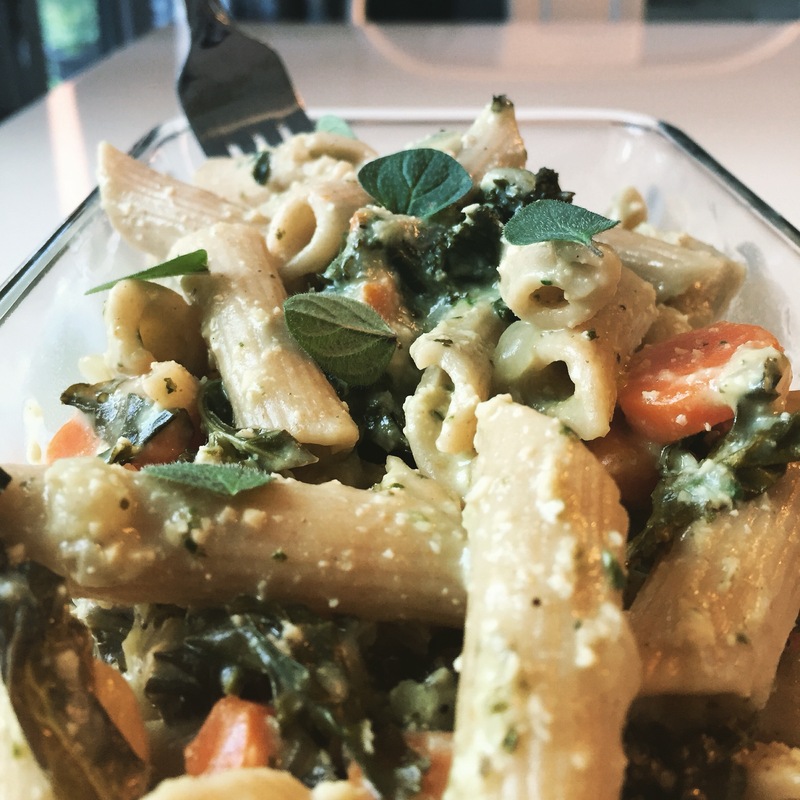 This pasta dish helps you get them both in one meal (please high-five yourself and/or pat yourself on the back 😉 ). 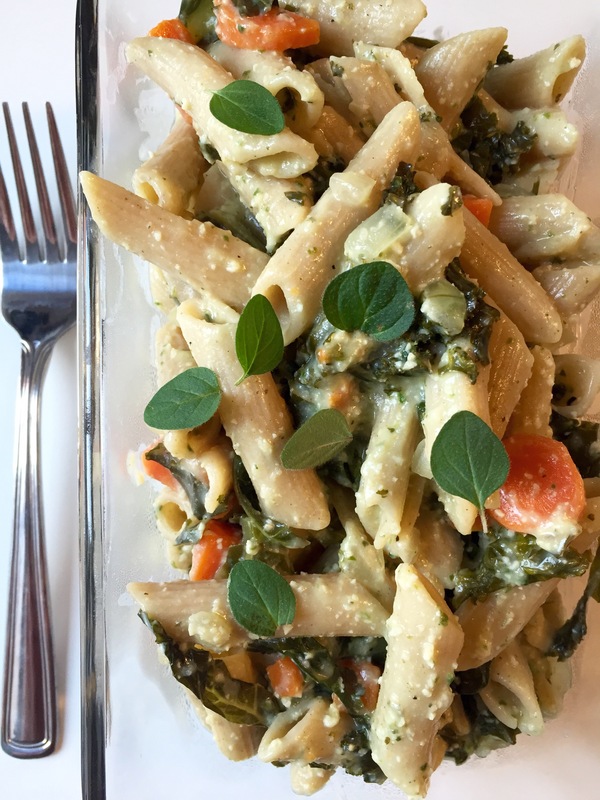 This meal will please your whole palate, as it has a nice nutty flavour thanks to the whole-wheat pasta, a wonderful earthiness thanks to kale and a subtle sweetness thanks to carrots. In a food processor or high-speed blender, blend cashews, cornstarch, vegetable broth (warm), lemon juice, dried oregano and garlic cloves. In a pan, add olive oil, baby carrots, onion and chopped kale. Cook on low to medium heat, stirring often to prevent burning. Cook until onions become translucent and carrots become somewhat soft. During this time, boil water in a pot in order to cook pasta. Cook pasta to desired tenderness. 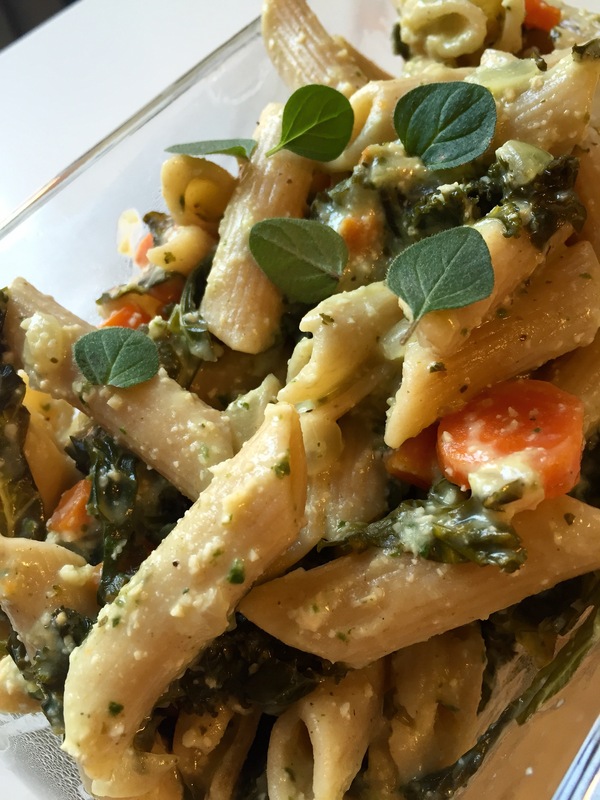 Combine pasta, sauce and vegetables and mix well. 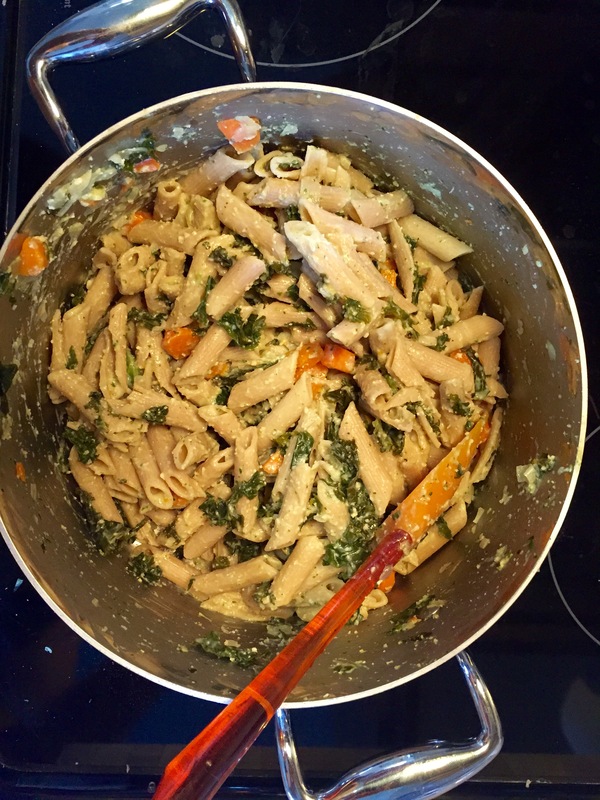 Get pasta-ing (it’s a verb, I swear). Phenom-tasting! 🙂 I couldn’t be prouder of how this dish turned out!